Welcome to our health and lifestyle management page. In here you will find beauty reviews and healthy recipes! A Connecticut based Lifestyle blog. 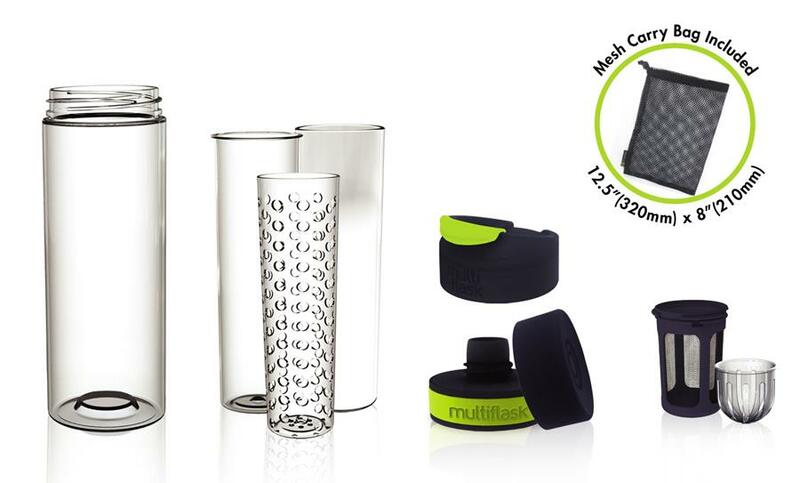 If you like to switch up what your drinking throughout the day, Multi Flask is a complete 6-in-1 bottle drinking system that gives you flexibility to drink hot and cold beverages - all in this one product. You can use it for healthy fruit-infused drinks, power shakes, smoothies & sports drinks, filtered drinks and all forms of hot & cold beverages. 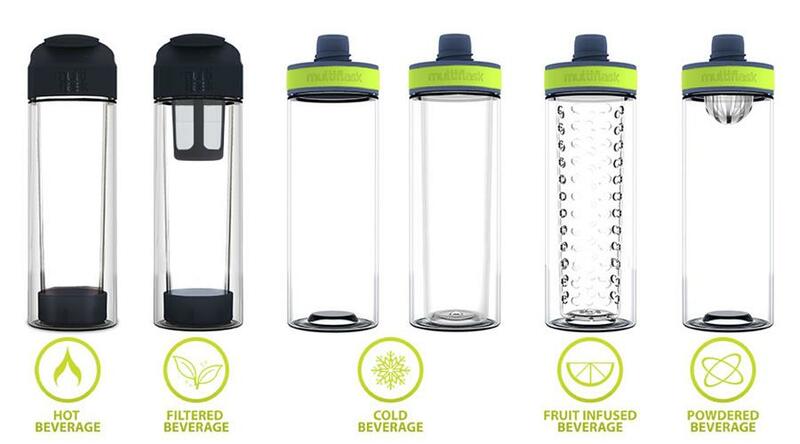 Plus is comes with a glass inner tube if you prefer nontoxic, chemical and BPA free drinking, plus your beverages will taste better. 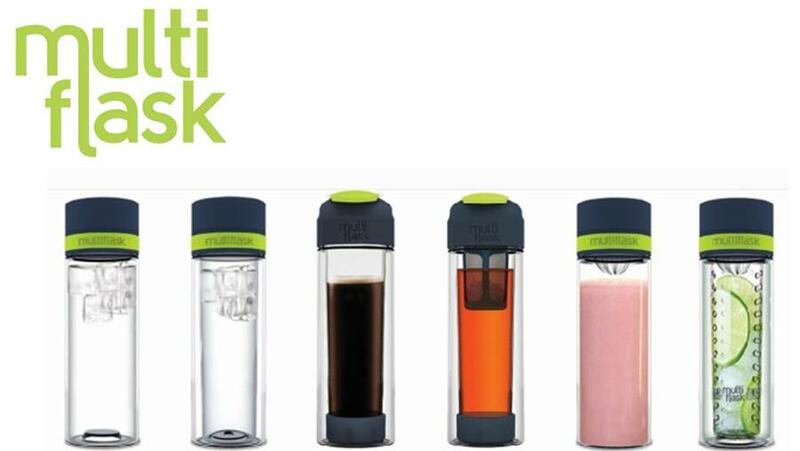 It comes with a tea strainer, a fruit infuser, agitator (for mixing powdered drinks), a sipper lid, or a sports lid. 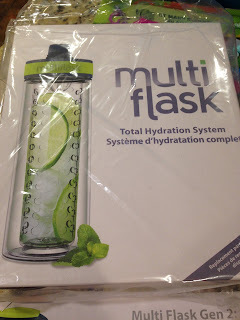 They offer a 6 bottle system for $39.99 or a 3 bottle system for $26.99. It's a great gift idea for the yoga, fitness, or activity buff. We have been using this for coffee in the morning. It's only good for one cup, and you better drink it fast because it won't stay hot for long. It's good for the morning commute. 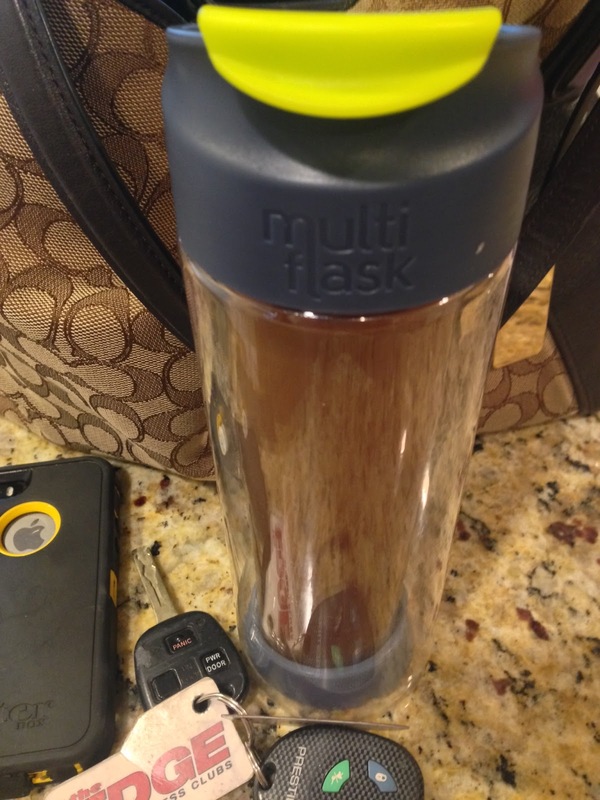 However, it's great to have one option to drink any beverages out of for on the run consumption. 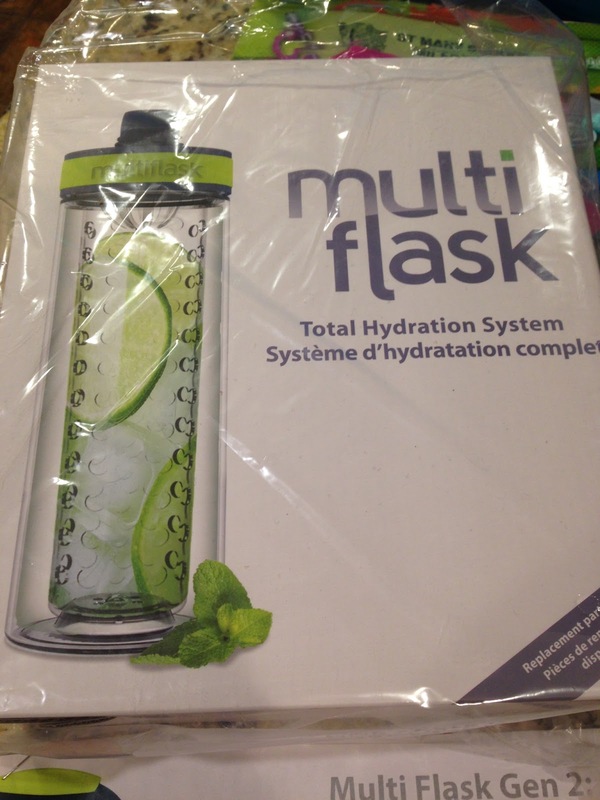 If you like infusing your water with lemons, limes, mint, or cucumbers, this is wonderful. I could see using this more in the hotter months, than in the Winter. Precidio owns Multi Flask and they are based out of Oakville, Ontario. Thanks so much for visiting our page. My name is Lisa and I am the creator of this blog. I started the blog in 2013 to share health tips, recipes, and product finds. I am constantly inspired by food, nature, people, fashion, scents, & travel and I love to share the "gems". I was born and raised in Connecticut and I am married to a martial artist. We have two lovely children. I am also a Private Chef for several families in Connecticut. In here you will find beauty & fragrance reviews, recipes, inspsiration, and many great finds that could improve your lifestyle and make your house feel more like a home. Enjoy! The opinions expressed in the blog are purely my own views, beliefs, and opinions, and do not necessarily reflect the outlook or opinions of any other organizations or places of employment. All pictures, articles, and stories are subject to copyright. We may receive products directly from brands, manufacturers, public relations companies, and brand marketing firms. In addition we have been invited to fairs, shows, and other events. Complimentary services, gratis products, tickets and press samples never compromise our coverage of the product or event. We will always cover and disclose whatever we receive fairly and honestly. VanWilliams Health & Lifestyle will not be paid for a review but may receive complimentary products, services, tickets, and travel in exchange for our opinion. Any advice on this site is the opinion of VanWilliams Health & Lifestyle. We are in no way responsible for the effects of our advice and always suggest that our readers decide for themselves.